If you have $500 you can receive $84,000 in Down payment assistance when you purchase in Washington, DC. 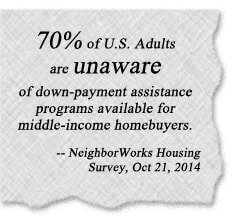 DCHFA’s DC Open Doors program is built around a Down Payment Assistance Loan (DPAL) that does not have to be paid back. This is essentially “free money” – the Down Payment Loan’s balance due reduces by 20% each year for a term of 5 years, ending in a zero balance due. DC Open Doors is a true zero down program for Washington, D.C. that cuts your out-of-pocket costs on a home or condo purchase to just closing costs and other processing fees. The Employer Assisted Housing Program is known as EAHP. EAHP provides city workers with help to cover the down payment and closing costs associated with a home purchase in the city. Up to $25,000 in assistance is available for most workers. First-responders can receive an additional $20,000 in benefits. For all District workers, funds are provided in the form of a deferred loan with a maximum amount of $20,000. This is a zero-interest, deferred loan and no payments are required until the home is sold. The matching funds grant provides $1,000 in grant funds to match each $2,500 in borrower funds, up to $5,000 in grant funds. First-responders can get the benefits listed above, plus more. You can receive a $10,000 recoverable grant if you complete a five-year service agreement. Your matching funds grant grows in $1,500 increments for each $2,500 in borrower funds, up to $15,000 in grant funds. Chenoa Fund is an affordable housing program funded by CBCMA, a federally chartered government agency. CBCMA's mission is to increase affordable and sustainable home ownership, specifically for credit-worthy, low- and moderate-income individuals. CBCMA specializes in providing financing for loans under the guidelines of FHA and Fannie Mae and partners with quality mortgage lenders on a correspondent basis.With this program, borrowers receive a 30-year term, 0% rate, no payment second mortgage.The loan is forgiven once the borrower makes 36 consecutive on-time payments on the original FHA first mortgage. 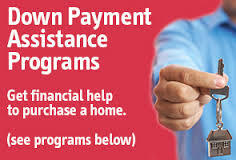 Prince George's County Purchase Assistance Program (PGCPAP) The PGCPAP remaining available balance is $1,525,399.10 as of January 1, 2019. Loan Terms Maximum loan: $15,000.00 Loan terms: 0% interest, deferred payment. If the buyer is one of the following, Police Officer, Deputy Sheriff, Classroom Teacher, Firefighter, Emergency Medical Technician , Nurse, they may be eligible for an additional $5,000 based on their need. This would bring the total loan amount to $20,000. Purchaser must pay back the loan in full when the home is sold, transferred or ceases to be the primary residence of the buyer(s) regardless of the length of residency. The Montgomery Homeownership Program II, an initiative of the Maryland Mortgage Program in partnership with Montgomery County, gives eligible home buyers purchasing in Montgomery County up to $25,000 in down payment assistance. Maryland SmartBuy helps homebuyers with qualifying student debt purchase a home. The program works by paying off student debt during the purchase of the home through special Maryland Mortgage Program (MMP) financing.